CloudGenix had the vision to leverage multiple new technologies in the software-defined networking space and, in partnership with DesignMap, create a system that provides incredible benefit to network administrators and businesses, far beyond what current tools offer. CloudGenix technology enables admins to configure, monitor and control networking sites across the world without the use of command line interfaces and from a single software application. The ability to directly use business language to set policies for application bandwidth usage and security has eliminated the need to write complex protocols. Yet, the value of these technologies does not become real without considering how network administrators and business stakeholders communicate, and translating that into a product design that supports the users and their workflow. 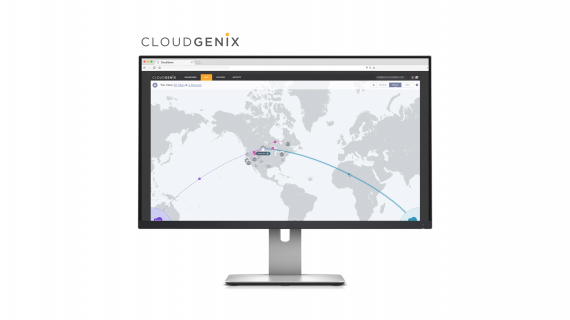 By understanding these contexts and developing a clear system architecture plus powerful, visual interfaces, the CloudGenix product has fundamentally changed the way teams configure and monitor wide area networks. It opens the door to building more robust networks for improved efficiency and security while reducing the risks typically associated with more complex network architectures.